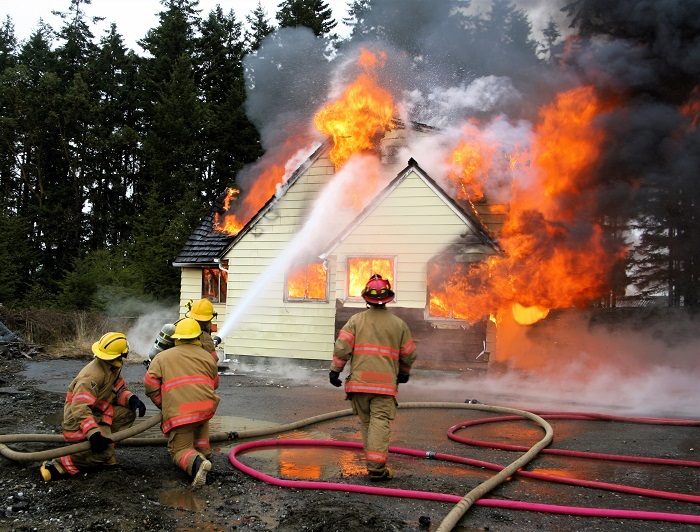 A home fire can happen in any property. Even if you live in a rental home, you are not exempt from the property damage risks. While your renters insurance might be able to help, you don't want to face the prospect of a burn in the first place. As the primary resident of a rental, what can you do to prevent fires on the property? What should you do if one occurs? Since you live in a rental property, you are often the first line of defense to combat fire risks. Consider some of the things you can do to make the home more secure. When you move in, ask the property owner about any fire risks. For example, do electrical outlets tend to surge? Has the home had a recent safety inspection? The owner can usually answer questions and start the process of fixing problems. Walk around the home yourself and look for potential fire risks. For example, if there's a fireplace, think about what you need to do to control burns. Look to see that dryer vents remain clear of debris. Make sure all appliances function correctly. Tell your landlord if you smell strange odors or see unexplained sparks or smoke in the home. They will likely bear responsibility for making repairs. Do what you can to control fire risks. For example, don't leave open flames burning or place fabric on or near open wall sockets. Place safety equipment in the home. These might include fire extinguishers and enhanced smoke alarms. Change the batteries in the house's smoke alarms as needed. No one wants to experience a house fire. However, if one arises, you might have recourse through your renters insurance. Your coverage usually contains both possessions coverage and liability insurance. Both might prove beneficial. Your possessions coverage can insure your personal belongings in the home. Therefore, you can replace your most precious assets. Remember, the property owner will likely have to pay for the home's damage. That is because that property belongs to them. Sometimes, you might accidentally be the cause of the fire. That's where liability insurance can come in handy. Let's say you cause a small grease fire while cooking. While you might put the fire out, it still damaged certain items like the stove or cabinets. Because these items belonged to the property owner, you might have to repay them for the losses. You can use your liability coverage to help in this regard. With the right care, you can minimize the risk of rental home fires. However, if one does occur, your insurance might prove a valuable resource. Tanenbaum Harber Insurance Group can help you get a renters insurance policy to meet your needs. Call us at 866-620-3482 for more information.